I would like to share with you what we did on the day and the knowledge we will be sharing with those that come to Kilifi New Year in two weeks’ time! Permaculture encourages the balance to our environment through the practical application of ecological principles. 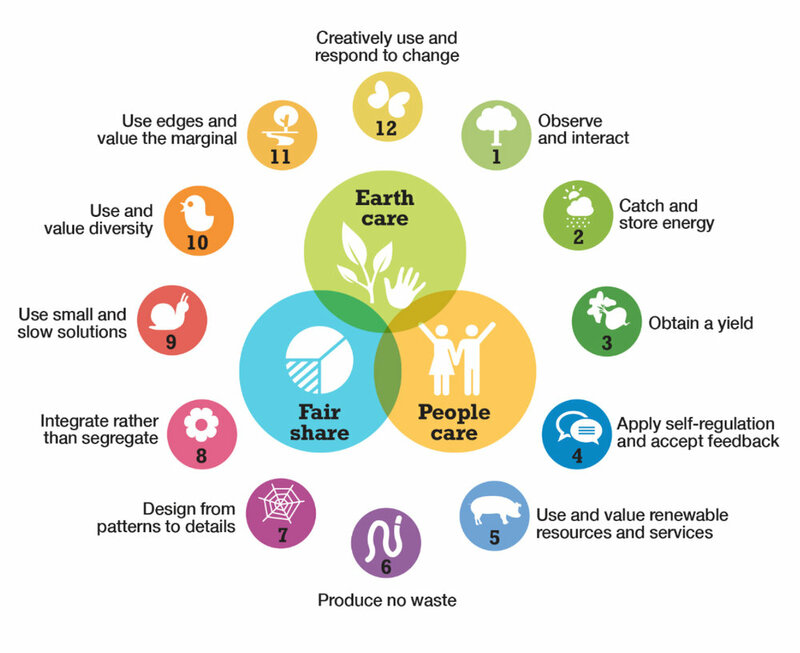 ﻿What is a Permaculture garden? 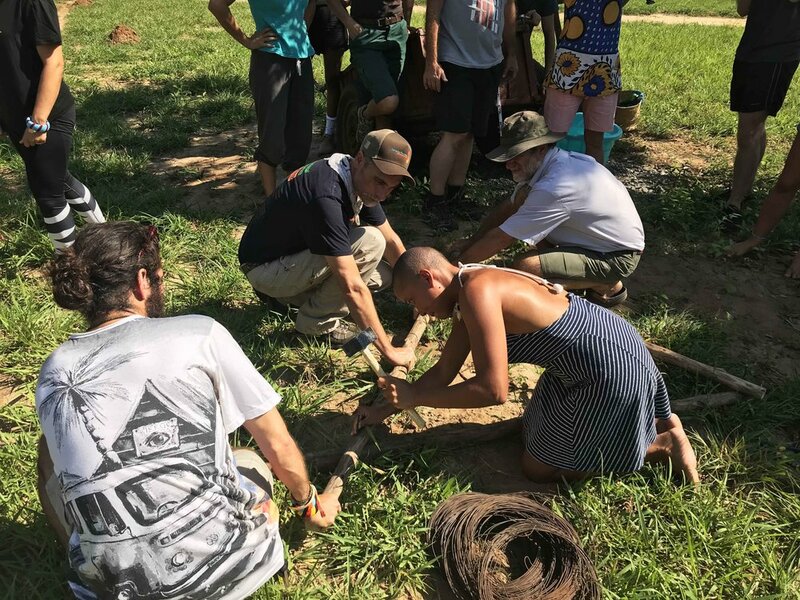 A Permaculture garden is a space where Permaculture principles are demonstrated to address human needs while ensuring equilibrium in the ecosystem, in real life- and in our festival! The Permaculture garden is growing delicious food for us to eat in the future. It’s our real-life festival food forest! 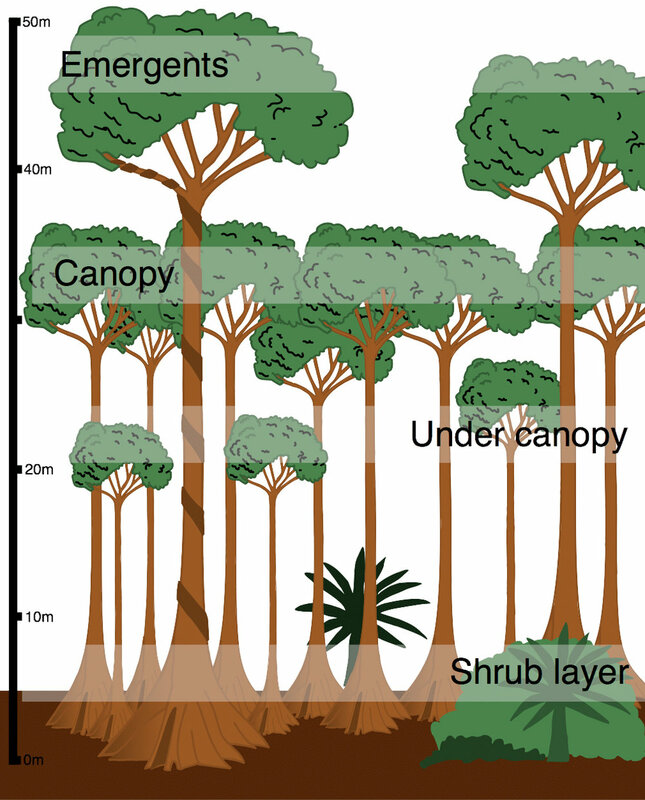 This tropical food forest will provide lots of different crops that all come into harvest at different times. This same piece of land planted in monocultures of corn or beans would give only a portion of the calories and nutrition when compared to the fruits, nuts and herbs that will all spring from this piece of land. 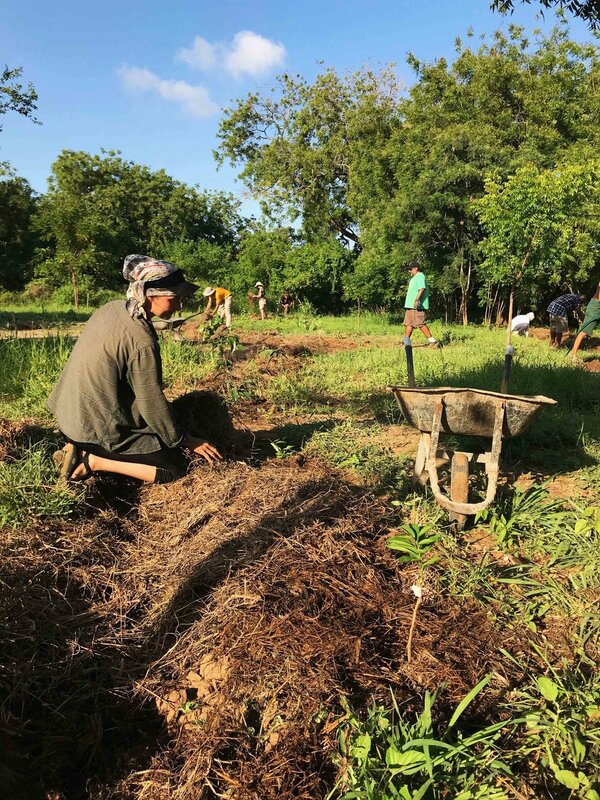 There are several heights to a food forest, so as organic matter falls to the floor, it improves soil fertility, capturing greenhouse gases and storing them in the soil. When compared to the energy dependent forms of industrial agricultural, not only are food forests more productive, they are also much better for the environment as well. Monoculture places a huge burden on the soil by extracting specific minerals, leading to unhealthy soils. Adaptation! This combination of trees are best adapted to our coastal ecosystem, and give good yields with a low investment of effort. Diversity! The diversity of species is important as they will all grow to different heights. Multi-story planting- creates more micro-climates and increases production! Utility! These plants provide food, fuel and medicine! The taller trees will also provide habitats for birds; and the flowers from all these plants provide nectar for bees. Mineral exchange! Cashews and tamarinds fix nitrogen which is needed by other plants (in this case mangoes and bananas!). All these plants also utilize soil minerals at varied depths with tamarind consuming the deepest situated minerals, whereas bananas go for the shallowest! The bark of Terminalia Alata is used medicinally against diarrhoea. Marula produce delicious fruit, and the tree also produces a high quality cooking oil, which is resistant to oxidation and thus has a long shelf life. Mvule (African teak) is a dark brown hardwood timber, resistant to termites! The powdered bark is used to treat coughs, heart problems and lassitude. The latex is used as an anti-tumour agent and to clear stomach and throat obstructions. Mpingo has a dense, lustrous wood ranging in colour from reddish to pure black. It is used a lot in wood carvings but matures slowly so is severely endangered! Let’s bring these species back from the brink! We learned that in the Tropics, it is extremely important to retain moisture and nutrients in the soil as well as disperse it. I would like to share some of the methods we used to make sure we were retaining these important elements as best as possible. SLOW it down, SPREAD it out and SINK it! This is a tool mainly used to find and map out contour lines. These lines sit on level ground so that water disperses and spreads equally. There are many ways to map contour lines. The benefit of the A-frame is that it is easy to build and use- anyone can do it! 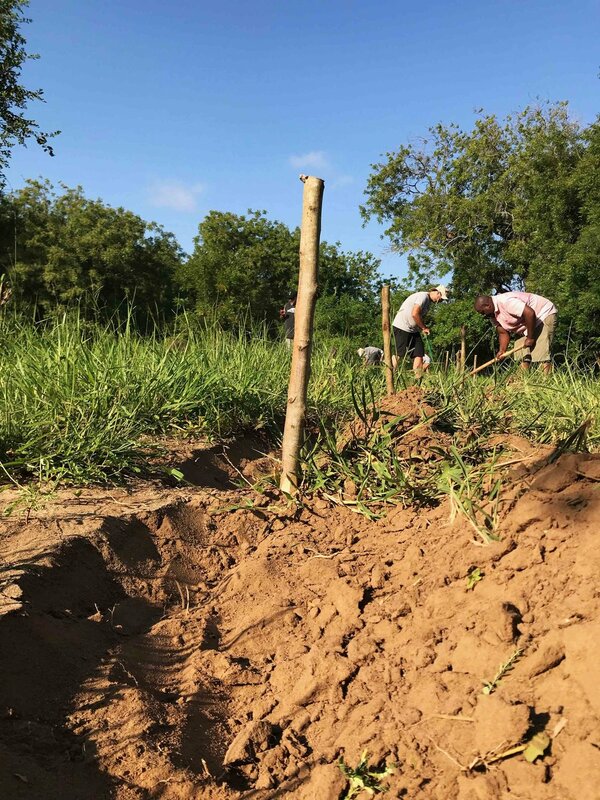 Low -tech methods are sometimes used in Permaculture because it is important to be able to use tools and resources that are most readily available and most affordable for most people to make and replicate. Now for the planting part! We dug large holes, two meters apart, along the berm (raised beds) of the swales. To ensure the seedlings develop and grow successfully there are a few important techniques we used. Depth of hole: this is usually done to hold the seedlings upright at a depth that facilitates development of roots and by extension the entire plant. The rule-of-thumb is that the hole should be deep enough to hold the existing roots and those that will develop post-planting time. The hole size also takes into account the extra moisture and air which are vital in helping the seedling adjust to the shock occasioned by change of environment! Use of soil conditioners: Apart from providing essential minerals to the young plants, these conditioners enhance/improve the soil structure and profiles to best fit young plants (seedlings). Some are also known to enhance soil moisture retention. With improvements in soil science, today we also have conditioners that are laced with some chemicals to help protect young plants from nematodes, fungi and bacteria. Barefoot Soulutions has partnered with Organix Limited, a company that primarily markets products of plant and natural origin. The products are biodegradable, environment friendly, ecologically safe, have low pre-harvest intervals and can be used on a wide range of crops without causing harm to beneficial organisms. Water retainer for forestry that, when incorporated into soil or a substrate, it absorbs and retains large quantities of water and nutrients. An organic pure and naturally occurring ultra-concentrated hamate powder. It supplies crops with the active ingredient of Organic matter (humus). An organic soil conditioner prepared from a range of natural ingredients some of which are cold pressed seed cakes. It enhances the microbial activity in the soil resulting in increased soil fertility. Manufactured from freshly harvested seaweed; a process that does not involve the use of chemicals, freezing, heat or hydration. Nhance should be applied during the initial growth stages or crops. 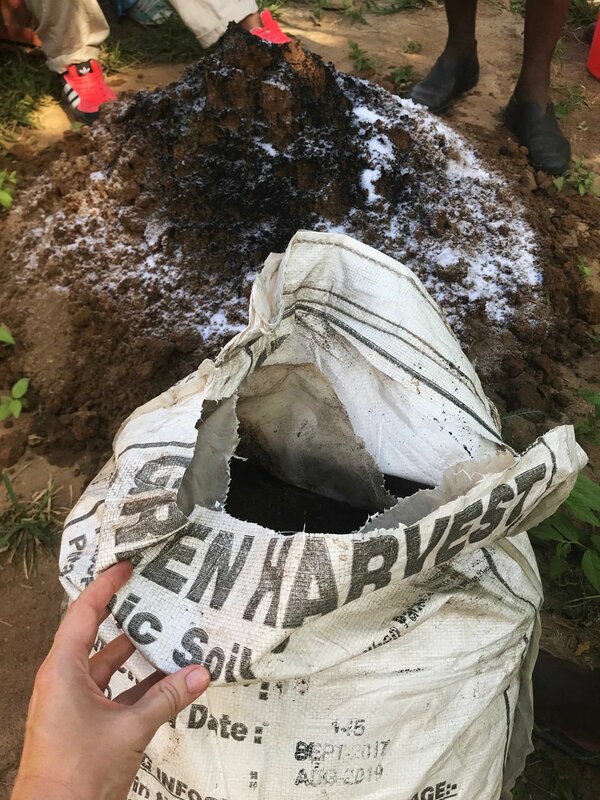 We mixed the above soil conditioners well and used about 1-2 buckets per hole to plant our trees. We filled the holes halfway with the soil cocktail, carefully placed our tree seedling in the hole and covered the remaining with more of our special soil mix. The secret at the end was to create a little circular indent around the neck of the seedling to give it room to breathe. Watering after planting: food for both young and old plants and also helps in arresting shocks suffered by plants as a result of change of environment! We applied the mulch to reduce the impact of the sun’s heat and the sweeping wind.